The weather outside is beautiful, the temperature in the office is freezing, and your coworker just headed out for a week-long vacation—it must be summertime! As you sit at your desk daydreaming of that trip you’re not on, it can be easy to lose motivation to finish the work in front of you. Study after study shows being outdoors boosts well-being, while Vitamin D (the sun) is proven to increase energy levels. Don’t miss out on the summer sun, use it to your advantage! Skip the break room and head outside. Even 5 minutes of sunlight provides a good dose of Vitamin D.
Take a walk during your lunch break, or schedule a ‘walking’ meeting. Not only is exercise good for you physically, but also is shown to improve mental capacity. Whether you’re moving around or sitting at your desk, it’s summer, it’s hot, and we sweat. When you’re dehydrated, you become increasingly tired and slow. Staying hydrated keeps both your energy and your spirits up. Keep a water bottle at your desk to refill throughout the day. Add strawberries, lemons or mint for a bit of flavor. As an added bonus, peppermint boosts your mood and promotes concentration! Avoid the up and down crashes of coffee or soda. If you need caffeine, drink green tea for a steadier boost of energy over a longer period of time. What time of the day do you have the most energy? When do you have your slumps? When you know when you’re going to be productive, organizing your day makes it all the easier to stay on task. Write out a schedule of what you need to get done each day. If you’re productive in the morning, schedule projects that require more concentration. Lethargic after lunch? That’s your time for the mundane tasks. If you’re losing focus, you’re not going to do good work. The boredom of a long, monotonous task could be draining your energy. Change things up. Switch to a different task, refill your water, or talk with a colleague. Even a couple minute break can help refocus you on the work at hand. It’s summer time—no one wants to spend their whole afternoon indoors. Clock out at four! Try and arrange with your boss to come in an hour earlier and leave an hour earlier during the summer months. You could also see if you can work through your lunch on Fridays and leave at four to jump start the weekend! Congratulations to all of the OMEGA Processing knothole youth baseball teams on wonderful seasons. It was great to see you in the July 4th parade! Now held the last Monday in May, Memorial Day is a day set aside for remembering the people who died while serving in our country’s armed forces. The remembrance originated as Decoration Day and was established as a time to decorate the graves of Civil War Soldiers with flowers. The holiday became officially known as Memorial Day in 1967, by Federal Law. The first Memorial Day Ceremony in Arlington Cemetery on May 30, 1868. President Ulysses S. Grant presided over the ceremony, and the principal speaker was Civil War General and future U.S. President, James A. Garfield. It is customary to fly the United States flag at half mast until noon on Memorial Day and then raise it to the top of the staff until sunset. Memorial Day was originally observed every May 30 until the Uniform Monday Holiday Act, which took effect in 1971. The holiday was then moved to the last Monday of May. It’s estimated that 32 million people travel by car over Memorial Day weekend. The tradition of having a red poppy a symbol of tribute to veterans originated from John McCrae’s 1915 poem, “In Flanders Field.” The sale of artificial poppies supports the work of the Veterans of Foreign Wars. The 30th Rolling Thunder Run will be held on Sunday, May 28, 2017 in Washington D.C. The Rolling Thunder Run mission is to educate, facilitate, and never forget by means of a demonstration for service members that were abandoned after the Vietnam War. Rolling Thunder has also evolved into a display of patriotism and respect for all who defend our country. The first Indy 500 was held on May 30,1911. The winning driver, Ray Harroun, averaged 74.6 m.p.h. throughout the race. In 1974, the race was moved from Memorial Day to the Sunday before. Today, April 30, is “Pay It Forward Day.” Started 2007, this international movement is celebrated each year on the last Thursday in April. With an overall goal to “make a difference and experience the true power of giving… one good deed at a time,” Pay It Forward Day hopes to inspire 5 million acts of kindness around the world this year. It can be as simple as giving a compliment or letting someone else have the parking space you were hoping for. For more information on Pay It Forward Day go to http://payitforwardday.com/. 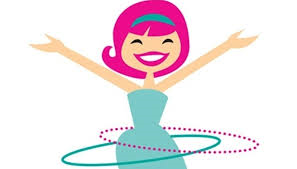 Happy 52nd birthday to the Hula-Hoop, which was patented on this day in 1963. An instant hit, an estimated 25 million Hula-Hoops were sold in the first four months of production. Inspired by an Australian toy, Hula-Hoop founders Arthur Melin and Richard Knerr named their version after the famed Hawaiian dance. They demonstrated their creation on the playgrounds of Southern California, and the rest is history. Trivia fact: Wham-O, the company that produced the Hula-Hoop, also gave us the Frisbee, Superball, Silly String, Slip ‘n Slide and the Hack Sack. Halfway into a what’s looking like a week of snowy and extremely cold days, it’s easy to get a little down. Here are few encouraging thoughts that might help. The average high in Greater Cincinnati one month from today is 55 degrees. St. Patrick’s day is under one month away. Over the course of the month of March, the length of the day increases 1.17 hours. MLB Opening Day is 46 days away. 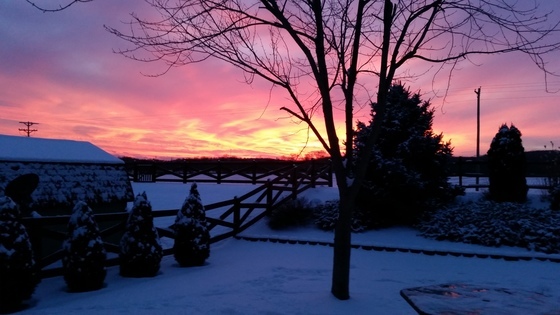 And… even in the midst of this miserable stretch of weather, there’s beauty to be found.